of sausages,’ joined by the shop’s Jack Levinson. An award-winning north-east butcher’s shop which is this year celebrating its landmark 25thanniversary in business is challenging its customers to create a signature sausage fit for a queen. The milestone for George Payne Butchers in Brunton Park, Gosforth, coincides with the Queen’s Diamond Jubilee celebrations in June and the shop is inviting customers to use their imagination and dream up a right royal banger recipe – a brand-new sausage flavour specially for its own anniversary and the Diamond Jubilee. The winner will not only see his or her stately sizzlers produced in-house and sold over the butchers’ counter at the Princes Road shop, but a complimentary pack will also be sent to the Queen at Buckingham Palace. We will announce the winner ahead of our 25th anniversary and the Queen’s Diamond Jubilee festivities.”The person who invents the majestic new flavour will win 10lbs of their own sausages, bottle of Champagne with which to toast their own success, Payne’s anniversary and the Queen’s Diamond Jubilee, plus a £50 George Payne meat voucher. George, who has been a traditional family butcher for over 40 years, established his own business in Brunton Park in June, 1987. He remains one of celebrity chef Rick Stein’s “Food Heroes” and is a founder member of the national Butchers Q, which represents many of the UK’s leading independent meat retailers. The business has won many local, regional, national and international awards for its products over the years in meat industry competitions. Also for its 25th anniversary on Friday and Saturday, June 1 and 2, George Payne Butchers will be selling beef topside at 1987 prices, along with special offers on sausages. 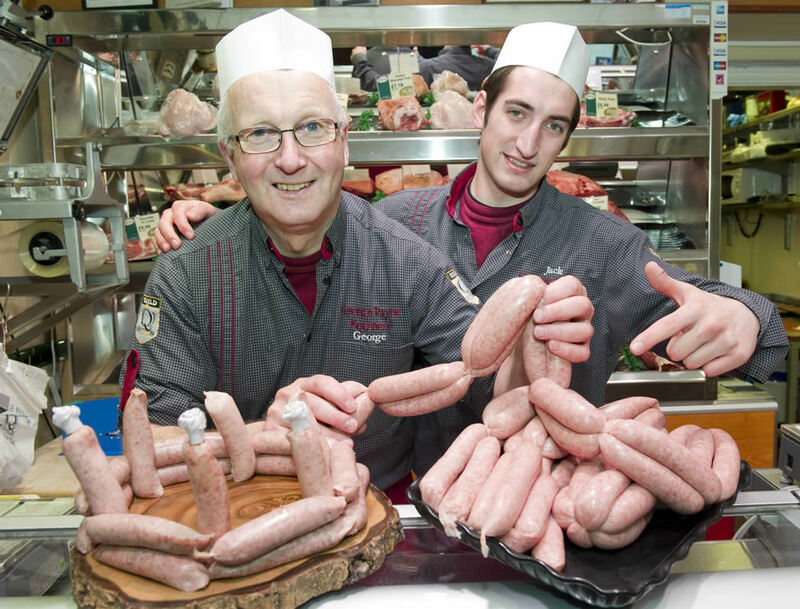 previous post: Three gold award wins at the Smithfield Awards for George Payne Butchers.